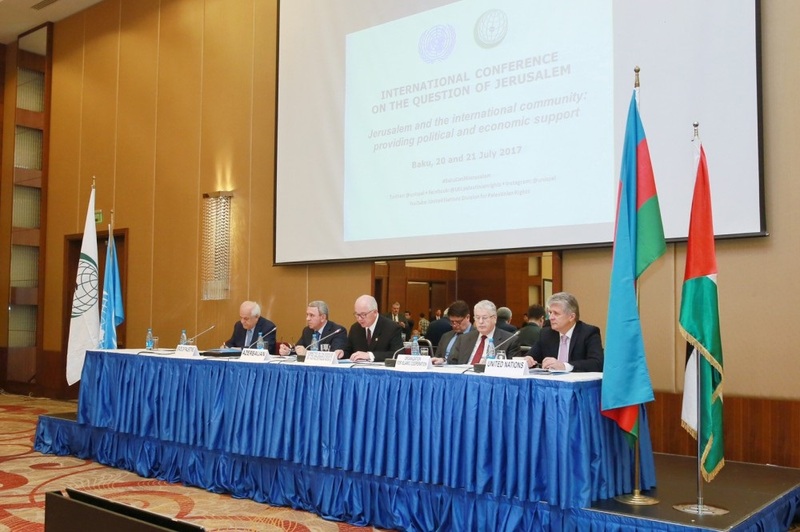 The International Conference on the Question of Jerusalem was convened under the auspices of the Committee on the Exercise of the Inalienable Rights of the Palestinian People, in cooperation with the Organization of Islamic Cooperation in Baku, Azerbaijan on July 20-21 July 2017. 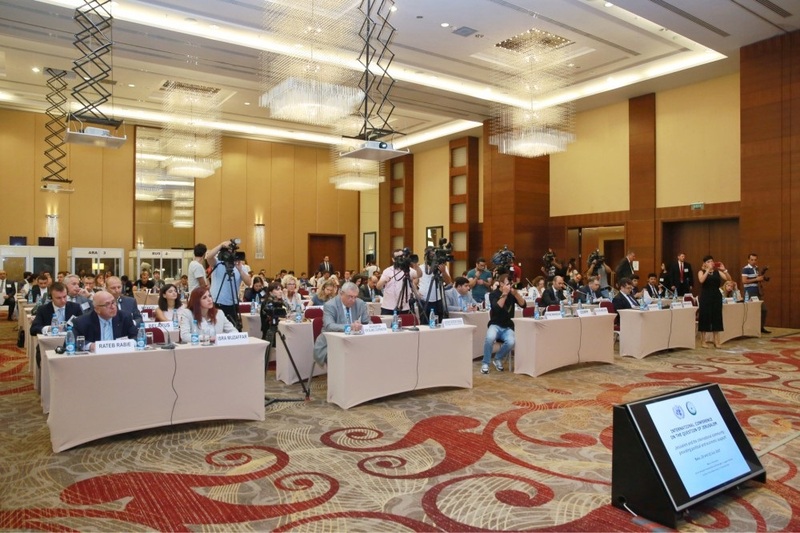 The conference brought together representatives of various international organizations, civil society organization and diplomatic corps accredited in Azerbaijan. With the titled “Jerusalem and the international community: providing political and economic support” the event came against the backdrop of the 50 years since Israel captured and annexed the City, including the Haram al-Sharif, in the 1967 war and amid escalating protests and tension in Jerusalem and across Palestinian territories against new controversial Israeli security measures where metal detectors were installed by Israeli police at the Haram al-Sharif complex which houses the al-Aqsa mosque. The compound is considered the third holiest site in Islam. Addressing the panel on “International and regional support for East Jerusalem”, H.E. Amb. Musa Kulaklıkaya, Director General of SESRIC, highlighted the various political, economic and social problems, obstacles and challenges facing the Palestinian people living in Al-Quds. These challenges are reflected in two main issues: The illegal Israeli Settlements; and the Israeli Strategy of Judaization of the City. The continuous expansion of the illegal Israeli settlements in Jerusalem and other parts of West bank is a part of a long standing Israeli policy of encircling the old city of Al-Quds and other parts of the area so as to have full authority on Jerusalem, including the Eastern part where the Palestinian people are residing. 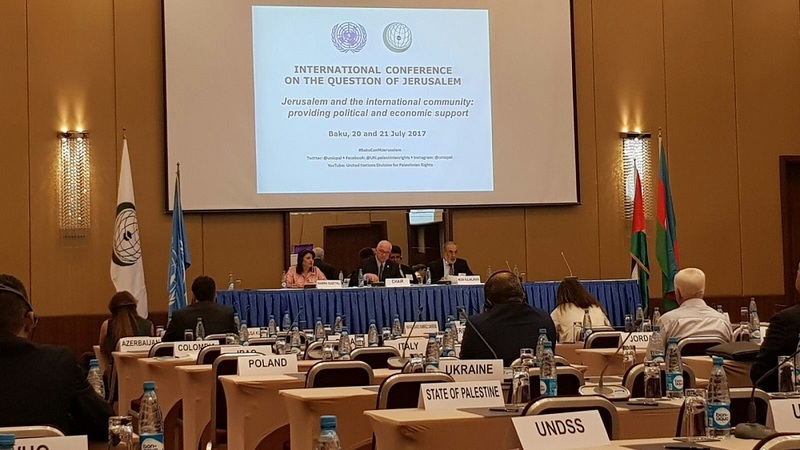 The Director General asserts that the Judaization of Palestinian land is particularly evident in Al-Quds and has been accelerated in recent years through home eviction, home demolition, and residency revocation. In his address, Amb. Musa Kulaklıkaya also shared with the audience about some of the selected activities SESRIC is undertaking with partners to support the people of Jerusalem and Palestine in general. These include among other things tourism initiatives, capacity building and skills training for the youths of Palestine. Following the results of the International Conference on the occasion of 50th anniversary of the occupation of East Jerusalem, a communique was adopted in connection with the Israeli ban on visiting Al-Aqsa Mosque on the Temple Mount. 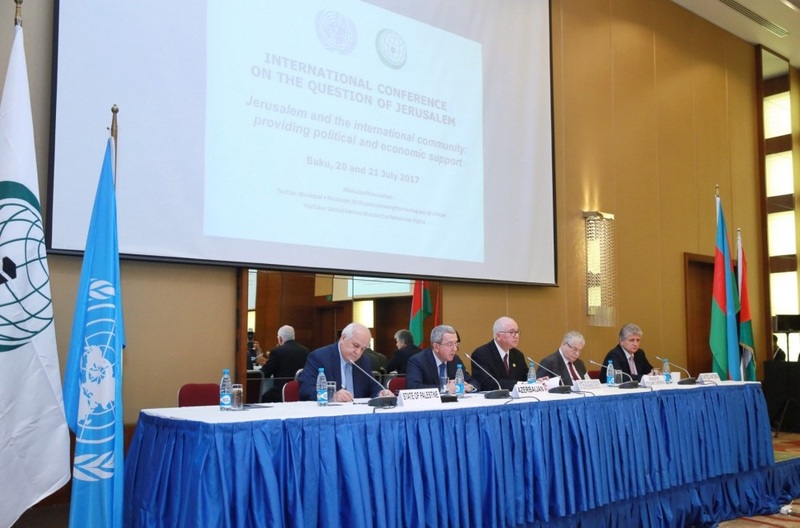 The communiqué adopted on behalf of the UN Committee on the Exercise of the Inalienable Rights of the Palestinian People, expresses serious concern about this decision. It was noted that these measures violate the historical status quo and international law. It calls on the international community to immediately confirm the historical status quo and force Israel, the occupant party, to stop its measures, including the installation of metal detectors, and adhere to international obligations. The conference participants confirm the international condemnation of the steps aimed at changing the demographic composition of the Palestinian territories occupied since 1967, including East Jerusalem. It was also stressed that only the cessation of the Israeli occupation will open the way for a just and lasting peace.